“Education is meant to inspire learners and prepare them for their futures. Working with students in a system that was developed 150 years ago prepares them for a time that no longer exists and over time diminishes the enjoyment of learning. In order to prepare our students to be successful in their futures, a redesign of the educational system is required. 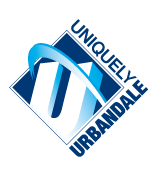 For that reason Urbandale is embarking on the journey to transform our educational system; a journey of continual improvement. A transformed learning system means, under the guidance of skilled and dedicated teachers, students will be more actively and meaningfully engaged and will begin to take more ownership and responsibility for their learning in order to learn at higher and deeper levels. Teachers support student learning through direct instruction, on-time support, and the development of activities and resources that meet student needs.